This dish is pure vegetarian, and easy to cook. There are only a two spices, which means the vegetables are the stars of the show. Heat the oven to 170*. Mix the cabbage with salt and 2 tbs of the olive oil, and roast in the oven for 10 minutes. Heat the rest of the oil in a pan, add the onion and sauté until soft. Add the crushed chilli, spices and turmeric powder and cook for a few minutes more until the aromas develop. Then add the tomatoes and sugar, check the seasoning and let the pan simmer for another few minutes. Meanwhile, boil the potatoes and carrots, and at the last minute add the green peas. Strain and add to the pan, mixing well. Check the seasoning and serve with rice and a salad. Passion fruits are available throughout the year in Sri Lanka – we like to use them for juice cordial, and jam is quite popular too. 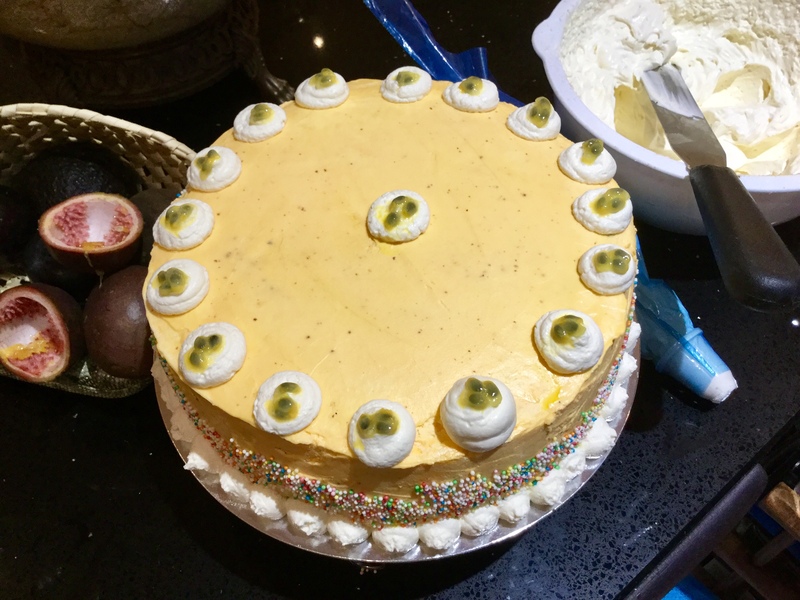 I use fresh passion fruits for this cake recipe. To make passion fruit syrup, scoop the passion fruit into a saucepan, add 50g castor sugar and cook on a low flame until it thickens, strain out the seeds and let it cool down. Make sure not to overcook. Heat the oven to 180*. Line a round cake tin with butter. Mix the butter, sugar and eggs together then add the vanilla, lemon and milk. Mix the flour, baking powder and coconut together. Stir the dry mixture into the wet mixture, making sure it is lump-free. Add half of the passion fruit syrup and mix roughly. Transfer the cake mixture to the baking tray and bake for about 35-40 minutes. If a wooden skewer comes out clean then it’s cooked. Remove from cake tin and let it cool down. Cut the cake in half, spread with the icing and decorate as you wish. 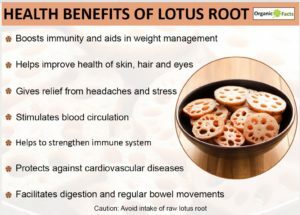 Lotus root is a well-known vegetable in Asia – in Sri Lanka we use it for curry and in soup. 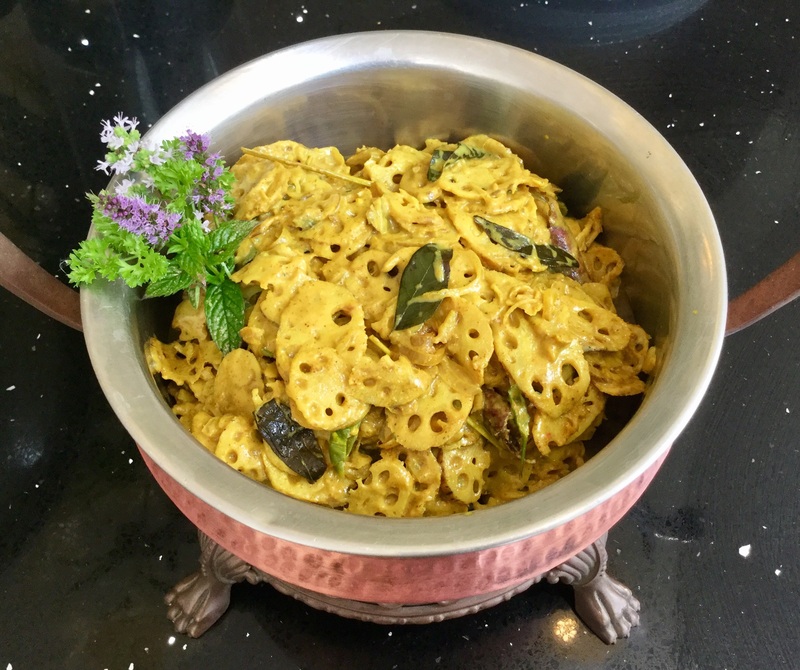 In London, lotus root is not so easy to find (except in Asian supermarkets) but if you can get hold of it please do try this recipe (my own!). It is full of nutrition and also very tasty. Mix the curry powder with the sliced lotus roots and keep to one side. Heat the oil in a pan and add garlic, onion, curry leaves, chilli, cinnamon and mustard sees. Cook for about five minutes or until the aromas come out. Then add the lotus roots, tomatoes and salt and mix together. Cover and slow cook for about 10 minutes then add the coconut milk. Simmer on a low flame, check the seasoning. When the gravy is absorbed into the vegetable, remove from the heat (make sure no to overcook). If you like, sprinkle with half a teaspoon of roasted curry powder. Serve with rice or bread. 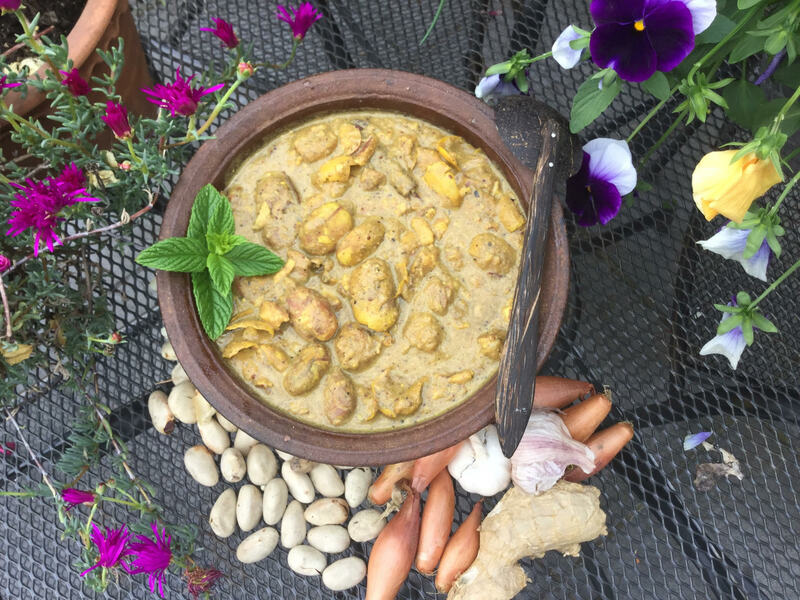 Jack seed curry is a well-known Sri Lankan dish. I still remember Mum making this with fresh jack seeds, full of flavour. A pure vegetarian dish, you can make it for lunch or dinner instead of fish or meat curry. Roughly crush the jack seeds. 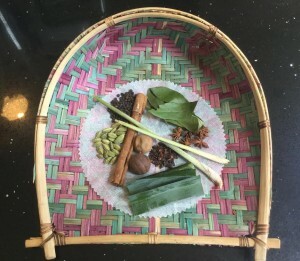 Heat the oil in a pan, add garlic, ginger,onion, chilli, cinnamon and curry leaves and cook until the aromas come out. Then add all spices, roasted coconut and rice powder. Add the jack seeds and water, mix well and cover and cook until they are soft. Then add the coconut milk, check the seasoning and simmer until the jack seeds absorb the flavours. 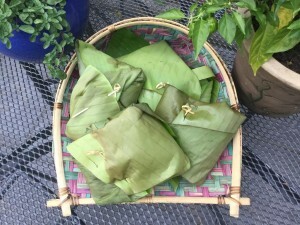 Serve with boiled rice or bread. For best results use a clay pot. 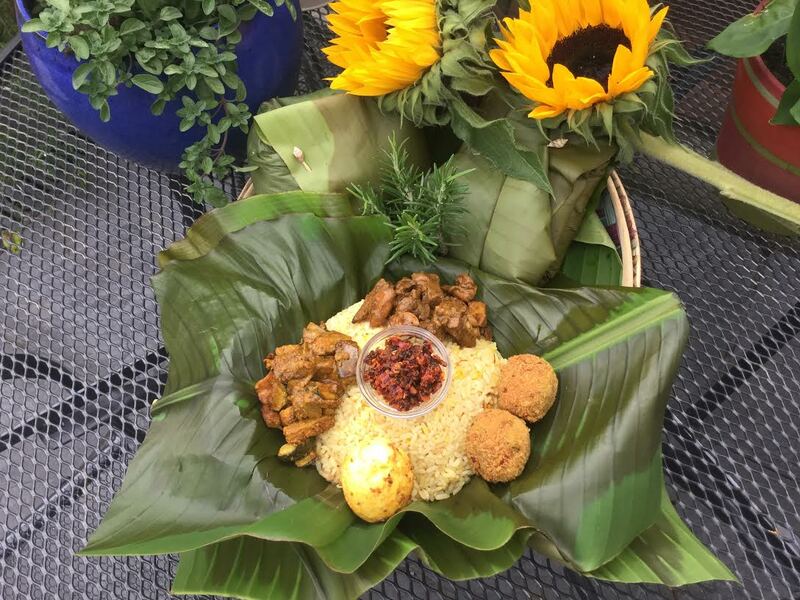 In SriLanka we use the same recipe for different varieties of green leaves and raw jackfruit – it’s very popular with authentic rice and curry. 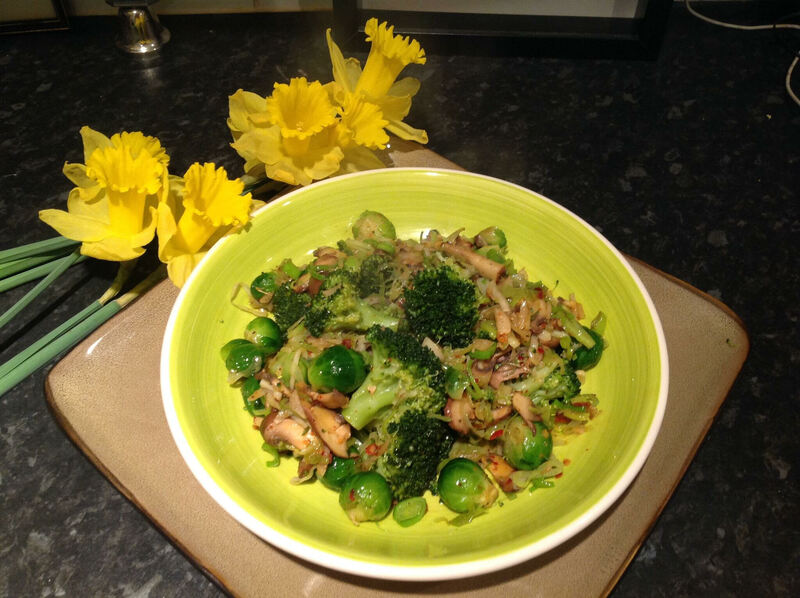 I hope you will enjoy my own recipe with broccoli, I even managed to find a broccoli flower for garnish. Shred the green part of the broccoli, transfer into a pan with water. Cover and cook on a low flame until the water disappears. 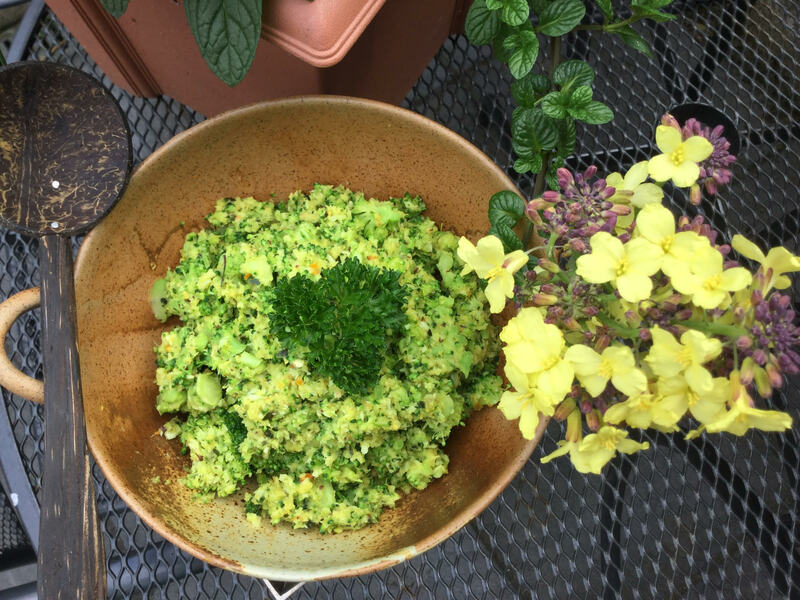 Grind the coconut with the rest of the ingredients and mix with the broccoli (I use a pestle and mortar but you could use a food processor). Cook for a few minutes, then remove from the heat. Add the lime juice, serve with rice. In Sri Lanka you can find several varieties of mushrooms. 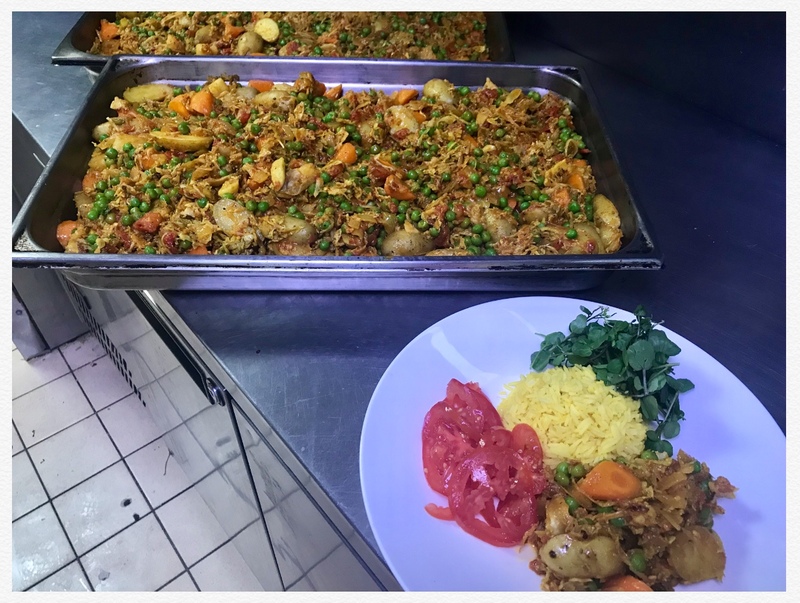 When you mix mushrooms with vegetables you get a great flavour, inspiring me to create this hearty vegetarian dish. It has become a firm favourite among my friends and family, and I hope you enjoy it too. Heat the oil in a pan, add the garlic, onion, and chilli. Cook until golden brown, then add the mushrooms and cook until soft. Then add the other vegetables and mix well. Check the seasoning then remove from the heat. Make sure not to overcook the green vegetables so they keep their crunchiness and nutritional content. 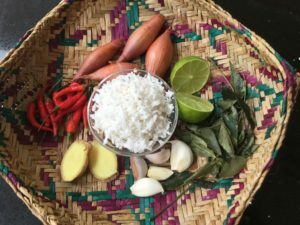 You can serve this dish with rice or bread. 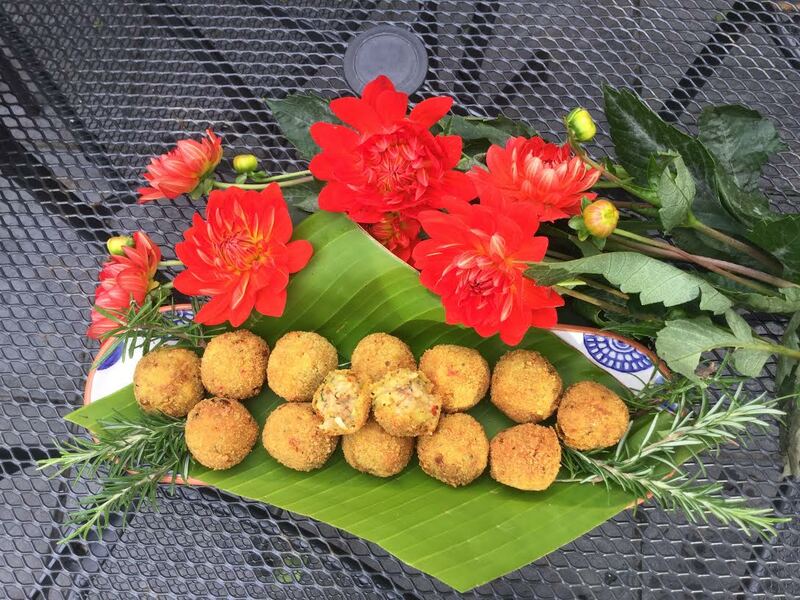 Vegetarian finger food is very popular in Sri Lanka, especially cutlets. I am happy to share with you my own version of vegetable cutlets – they are lovely before a meal, and have had lots of great comments from friends. Mix all the ingredients together with spices and seasoning. Take equally-sized amounts of the mixture and mould each into a ball. Beat eggs in a bowl and dip the balls into egg mixture, then coat with bread crumbs. Heat the oil and deep fry the cutlets until golden brown (the oil should be deep enough to cover the cutlets). Drain excess oil on paper towels. Serve as snack, or with rice and curry. 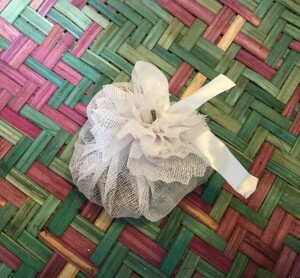 In Sri Lanka we have many varieties of beans available throughout the year. 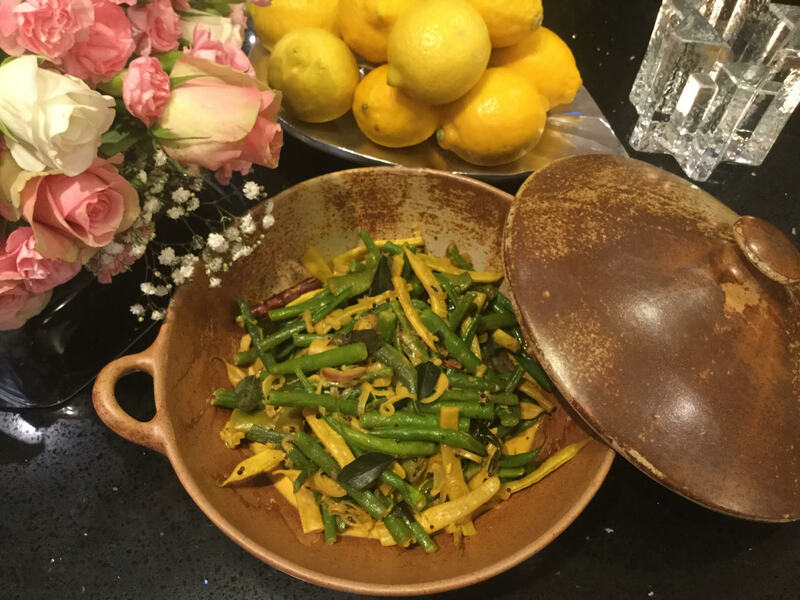 In London, I managed to get hold of yellow, green and purple beans to make my favourite curry. I hope you will all love it! 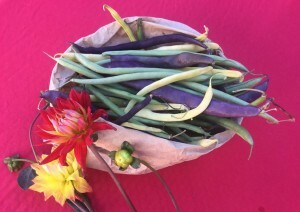 Remove the stems and threads from sides of beans and wash. 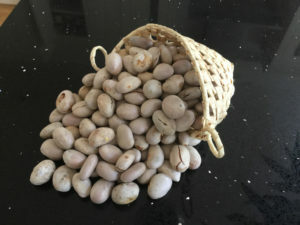 Break each bean by hand into three pieces. Heat the oil in a pan and add the onion, garlic, curry leaves, chillies and spices. Cook until you get the aroma. Add the beans and mix well, cover and cook for 5 minutes only on a slow flame. Then add the coconut milk, check the seasoning and cook uncovered for another 7 minutes (don’t overcook or the beans will become discoloured). Remove from the heat, serve with rice. 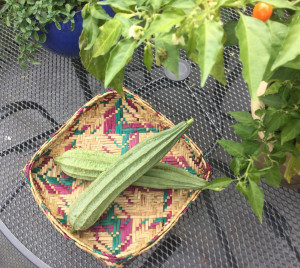 In Sri Lanka ridge gourds are available throughout year. They are low in saturated fat, cholesterol and calories and quite easy to cook. A delicate vegetable, I hope you enjoy this pure vegetarian mild curry. In a pan put the half cup of water together with the potatoes and all other ingredients except for the mustard powder, coconut milk and lime juice*. Cover and cook 8-10 minutes. 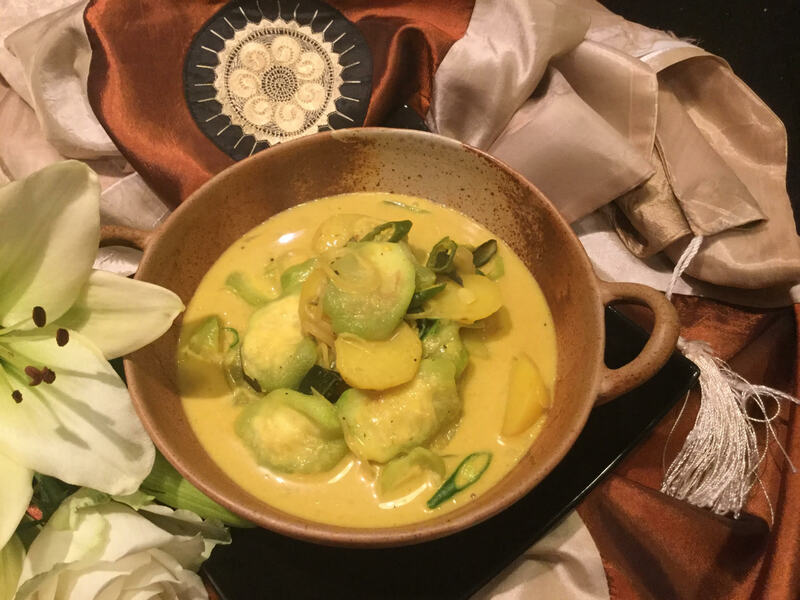 When the potatoes are cooked, add the ridge gourd and coconut milk, cook for 8 minutes stirring occasionally. Do no overcook. Remove from the heat, add the lime juice and mustard powder and check the seasoning. Serve with rice.